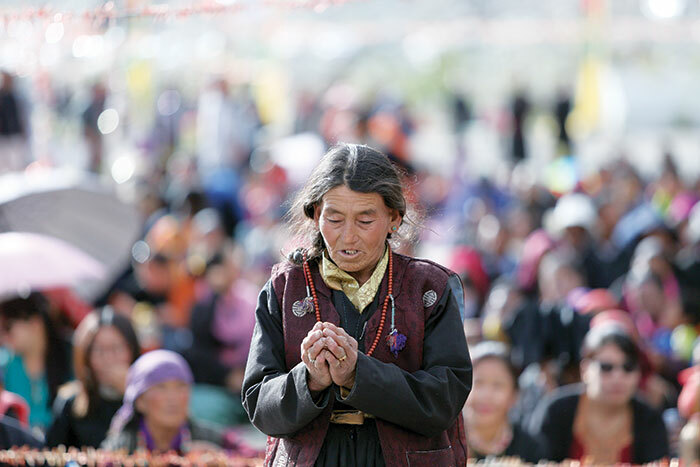 A Ladakhi village woman in deep devotion at the prayer meeting. 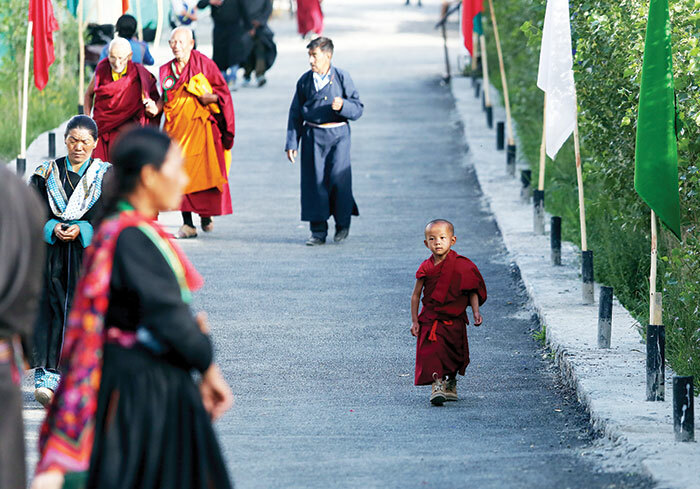 Ladakhis of all age groups coming to seek the blessings of the Dalai Lama at Diskit. The village is located close to the world’s highest battlefield, Siachen, and not too far from the actual Line of Control along China. PLA soldiers are locked in a stand-off with Indian soldiers at Doklam near the Sikkim-Tibet-Bhutan trijunction. 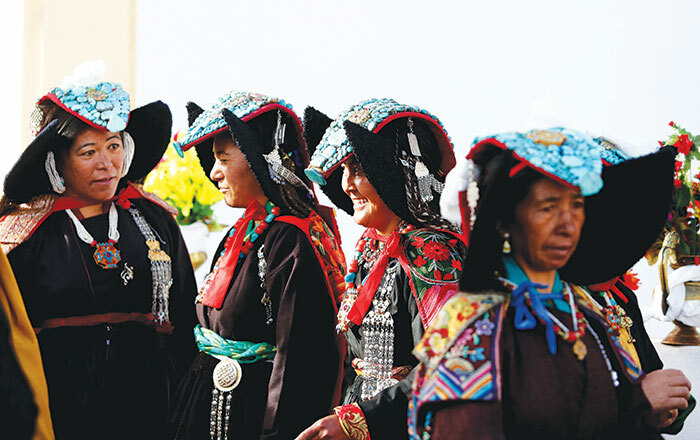 Ladakhi women dressed in their trousseaus, including traditional headgear, parekh, embellished with precious turquoise, join in the Dalai Lama’s prayer meeting. 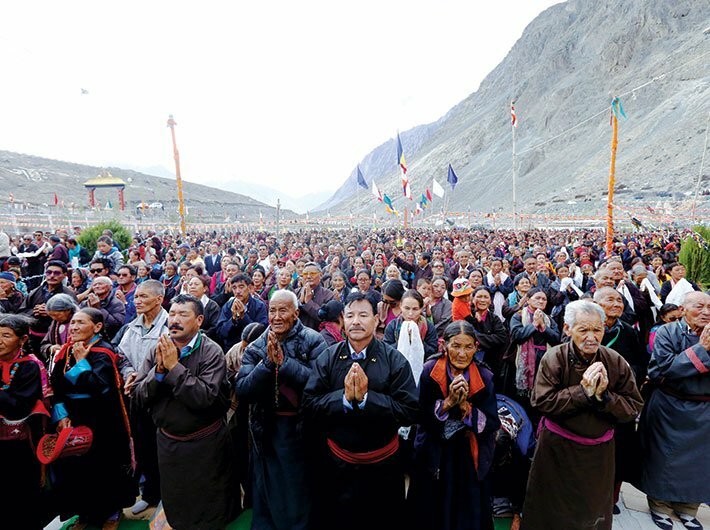 The Dalai Lama blesses the people at Diskit. 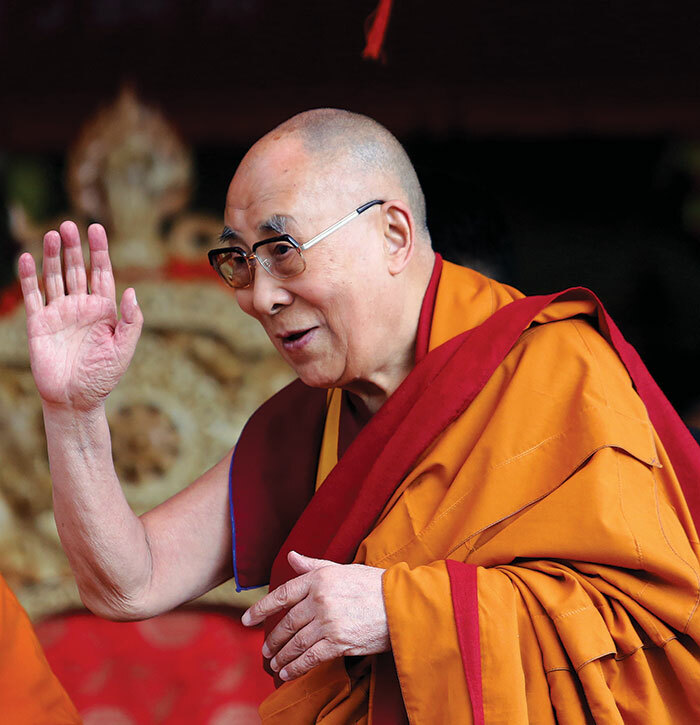 The Buddhist spiritual leader celebrated his 82nd birthday on July 6 in Leh which has a sizeable population of Buddhists, including Tibetan refugees. 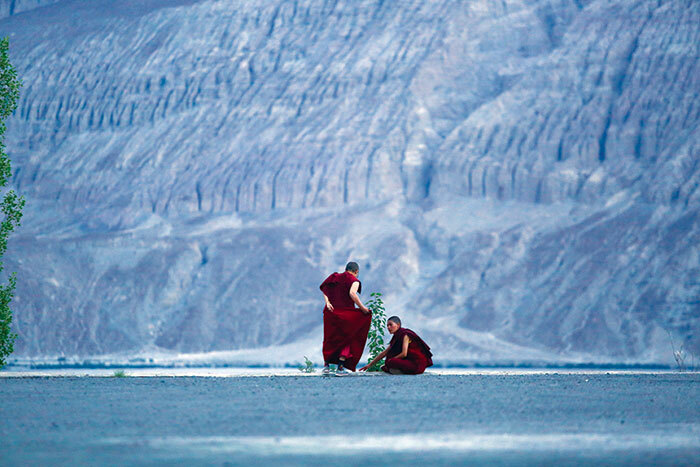 Two young Lamas on their way to the festival and the prayer meeting.